July 3, 2018 | Meagan Miller & filed under awesome, Documentary, News, Special Events, SurroundSound. 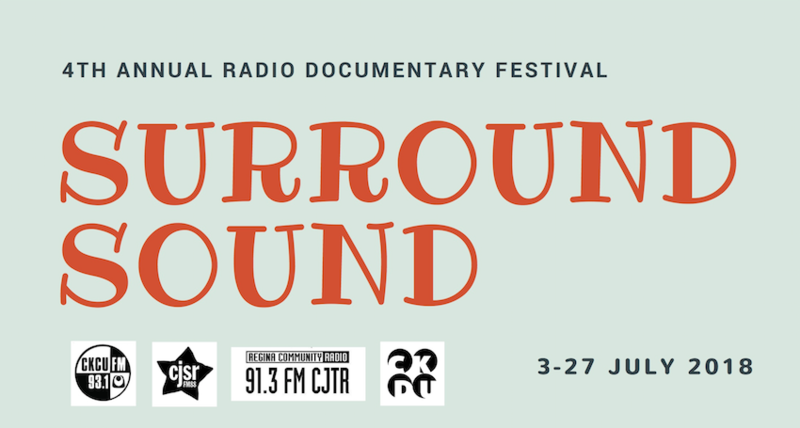 SurroundSound is a new Canadian radio documentary festival celebrating interesting and compelling audio stories by both emerging and veteran journalists, producers, and writers. Over the past four years, this small festival has grown to include more documentaries and even more community radio stations! 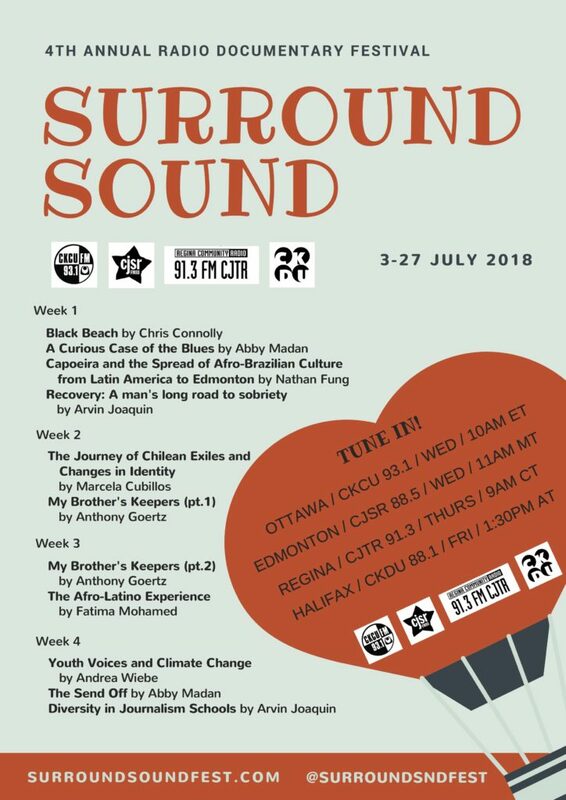 The 2018 edition of SurroundSound takes place over four weeks in July, and can be heard Wednesdays in Ottawa and Edmonton, Thursdays in Regina, and Fridays in Halifax. Tune in to CJSR 88.5FM on Wednesdays at 11AM MST to get your fix of docs about everything from the history of the Blues to issues of masculinity and the Canadian judicial system.